Smokies - Polashek's Locker Service Inc. 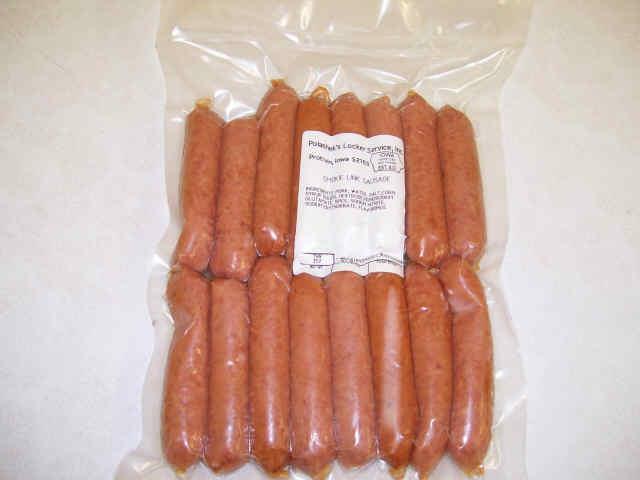 This product is made from pork and is a popular breakfast sausage. Smokies can be found at many grocery stores around the area.